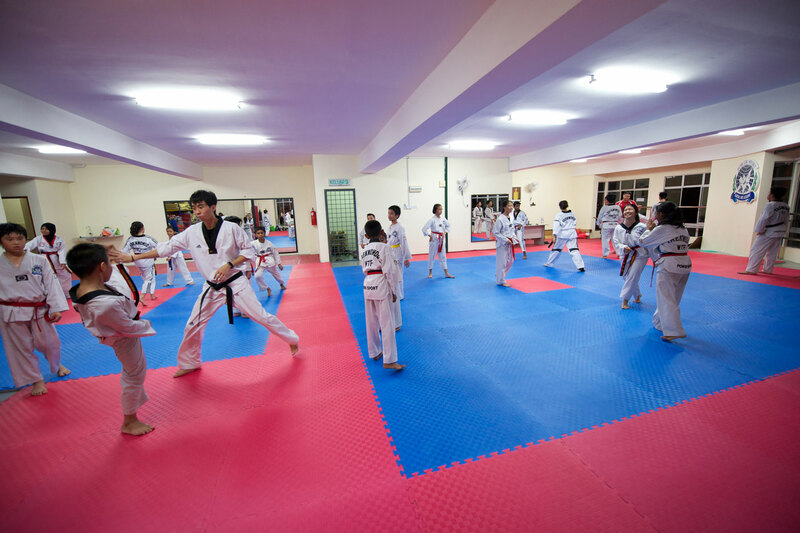 Power Sport Taekwondo Martial Arts Academy was an associate member of the Malaysia Taekwondo Association (MTA) since 1995. Its founder Master Leong Yong Wah and his wife (Mdm. Yeap Swee Bee), veterans in the local Taekwondo arena, left the Selangor Taekwondo Association with heavy hearts and great reluctance in late 1995 to avoid the strife within the state. That was when they formed the Power Sport Taekwondo Martial Arts Academy. A month later Power Sport Taekwondo was accepted as an associate member of the Malaysia Taekwondo Association (WT). The initial years were not easy but free from the contentions of the state, Master Leong and his wife discovered more time to devote to their students. Many assume that taekwondo is more of a sport now than martial arts and self-defense, especially since its introduction to the Olympic Games. It is undeniable that participating in tournaments and bringing home medals is a big part of Power Sport Taekwondo Academy’s objective. However, the academy’s interest does not lie only in the medal count. The academy believes in bringing up members that are well disciplined. To the academy, having an average fighter with true sportsmanship is better than having the best fighter with an attitude problem. Power Sport Taekwondo Academy is one place where discipline is very much emphasized. Training under the academy does not only help members to be fit, strong and competent tournament fighters. It also helps train members to be responsible, respectful, initiative and confident. Values such as these are vital in being successful, whether in the arena or in life – something that cannot be judged or compared to by the number of medals one wins. Power Sport has seen more than a decade of struggles and action. Today, it is registered with the Sport Commissioner as Power Sport Taekwondo Club. Its most recent accomplishment is to be accepted as a Premier Club by the new Taekwondo Body called Taekwondo Malaysia. This title is only limited to 20 clubs within Malaysia. With this status, Power Sport is given the opportunity to vote in the biannual delegates’ conference and represent as a club in any championship organized by Taekwondo Malaysia, unlike others where they have to represent their own states. 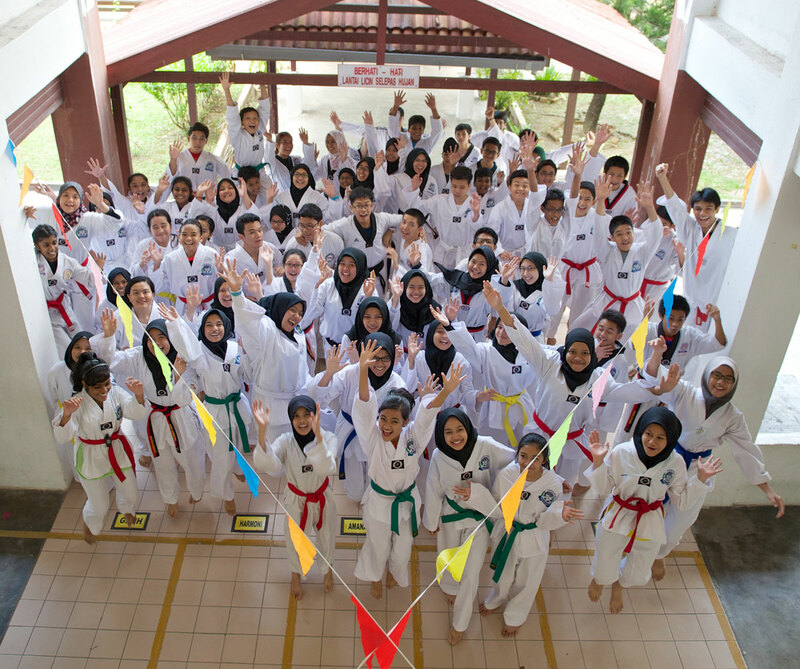 The club also has the privilege to propagate Taekwondo throughout Malaysia. Such recognition motivates and drives Power Sport to continue ” Striving for Excellence”.